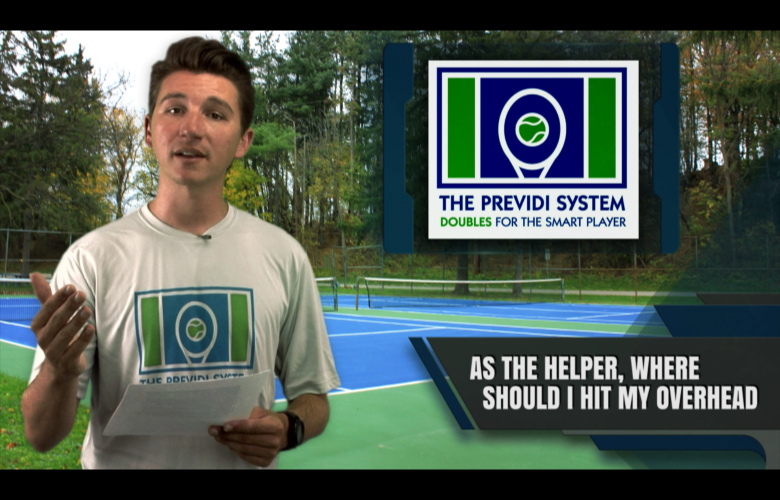 TOPIC: When the Helper has to run behind the Hunter for a deep lob, the Helper tells the Hunter to "Get Back" so they can play defense together. When the Helper has to "Abandon Ship" they don't leave their partner behind. 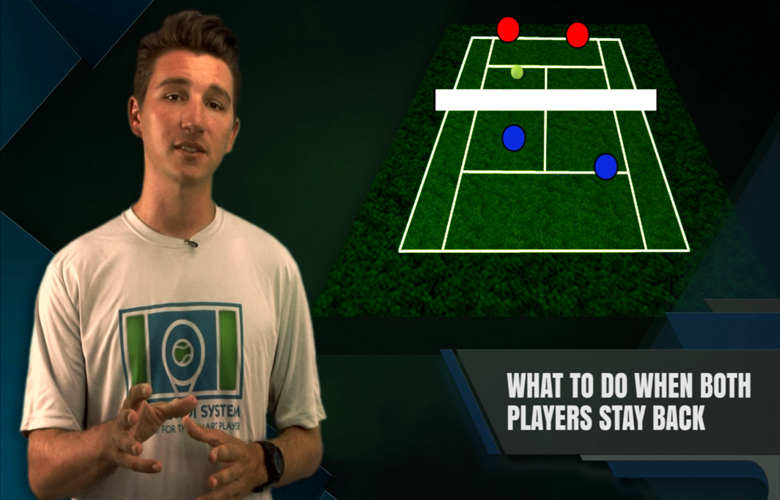 EFFECT ON GAME: Getting back together and hitting a high lob will help to neutralize the opponents advantage and keep our team in the point. The key is to be patient once your team is back and keep lobbing until an opportunity arises to take the net back. 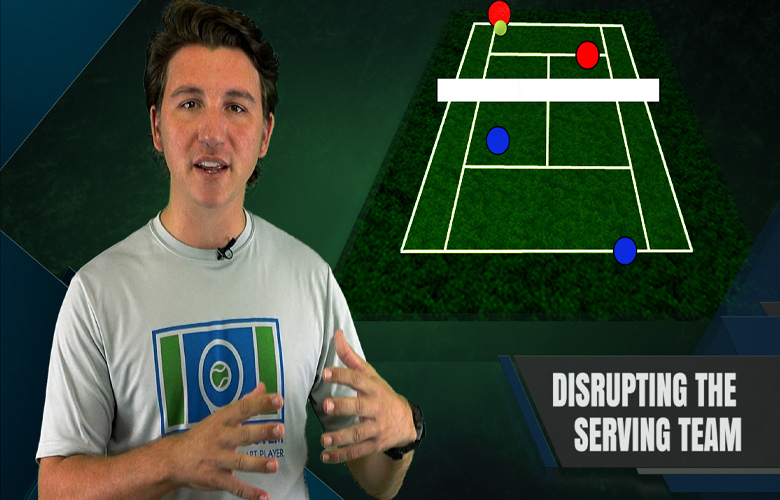 TOPIC: This is part 1 of the special Disruption Series Bonus with the 90 Day Doubles Diet. In order to win more matches we must disrupt our opponents game and plans. 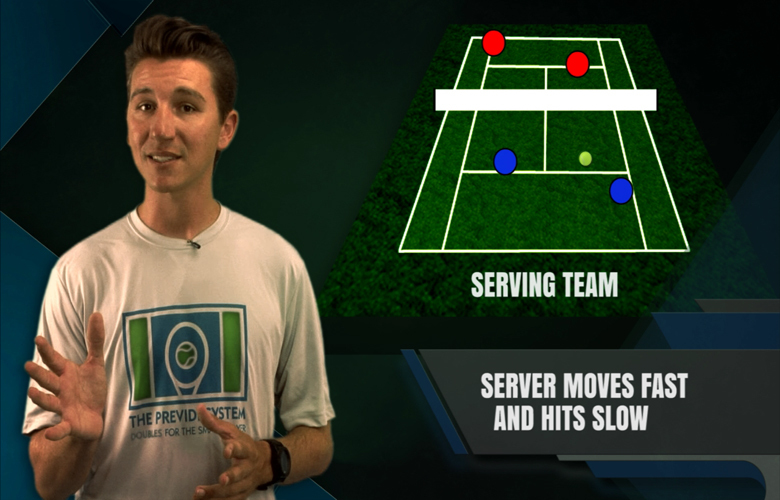 The server's partner is a key position and misunderstood by most players. Here we give you all you need to know about being a great server's partner. 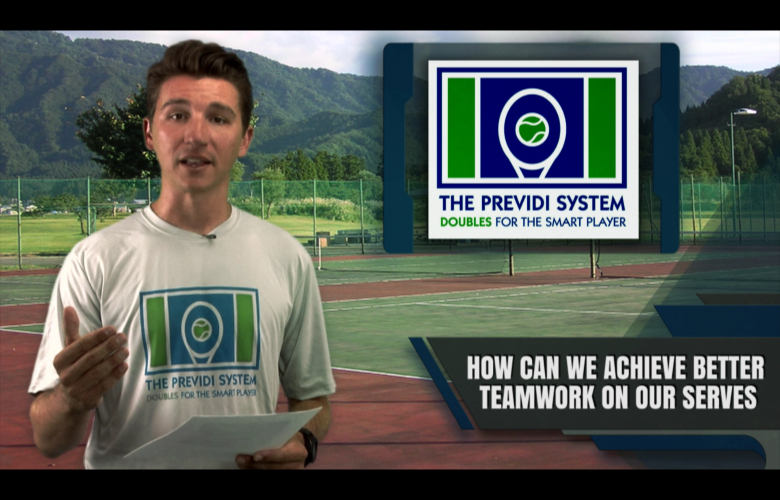 EFFECT ON GAME: If you get proficient at the qualities we outline in this video, you will help your partner hold serve more easily and more often and you will be a partner that is highly sought after by other doubles players. 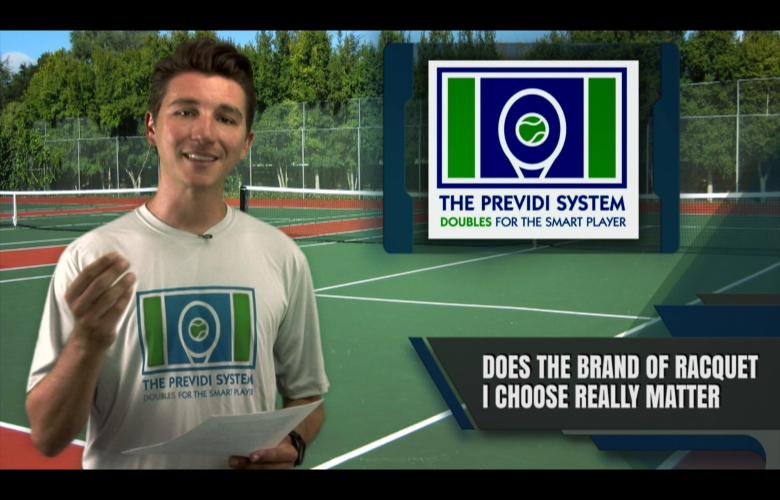 TOPIC: This is part 2 of the special Disruption Series Bonus you receive with the 90 Day Doubles Diet. 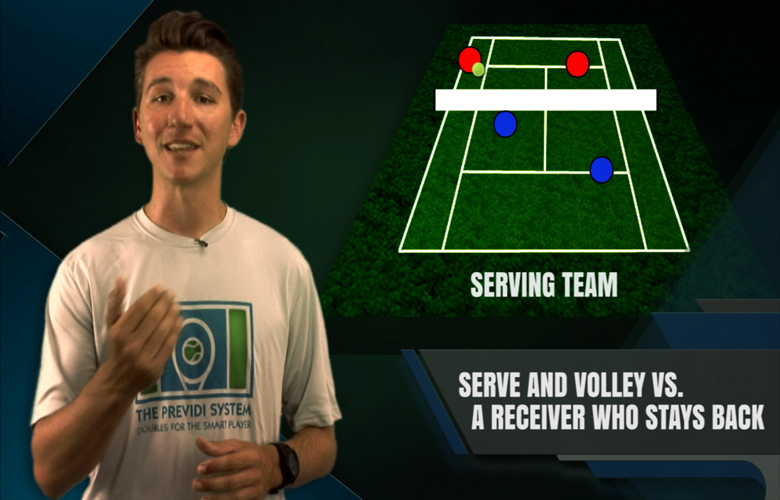 In this video we describe the best way to undermine your opponents game when returning serve in doubles. 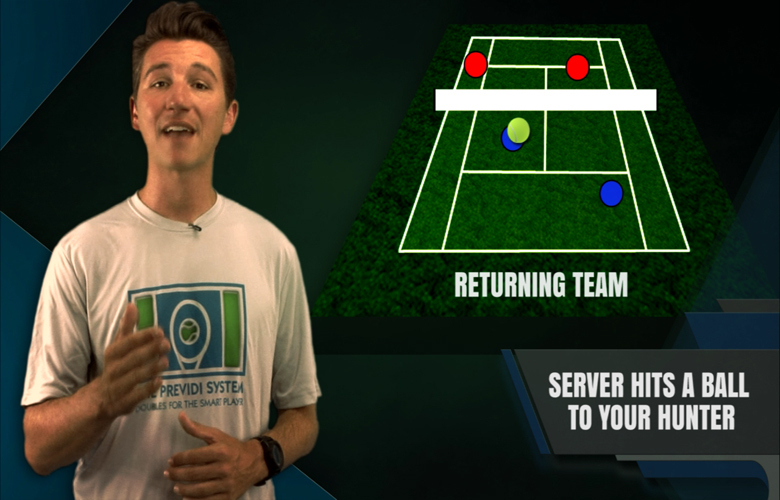 EFFECT ON GAME: Master the skills on the video and you and your partner will be a handful for every team you play. 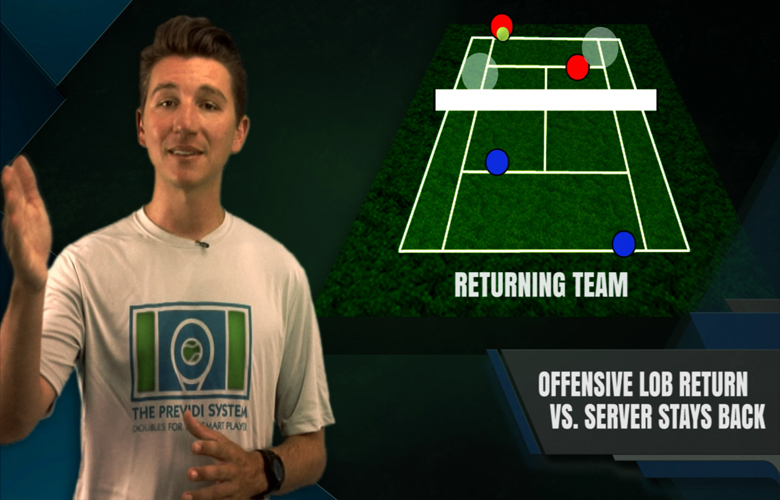 We are going to make sure that you are disrupting their game plan and attacking the weak spots in their service game. 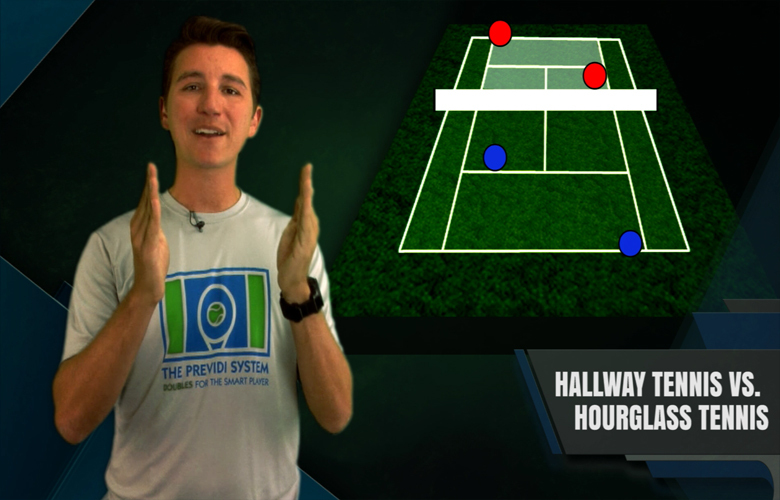 EFFECT ON GAME: When we make our opponents cover more court space and spread them out, we create opportunities to hit to open court and win points as well as making them miss and keep them under pressure. EFFECT ON GAME: You never want to waste a great opportunity by being out of position or not on the same page as your partner. 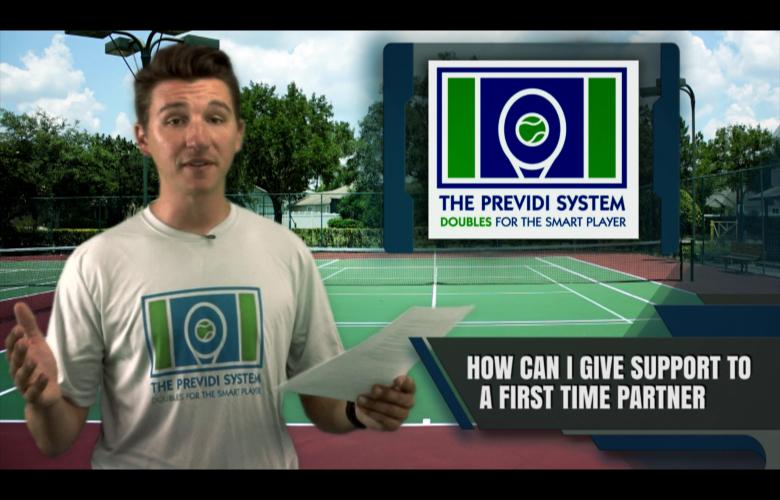 These guidelines will help you to win a majority of the points in a situation where you have control of the point. 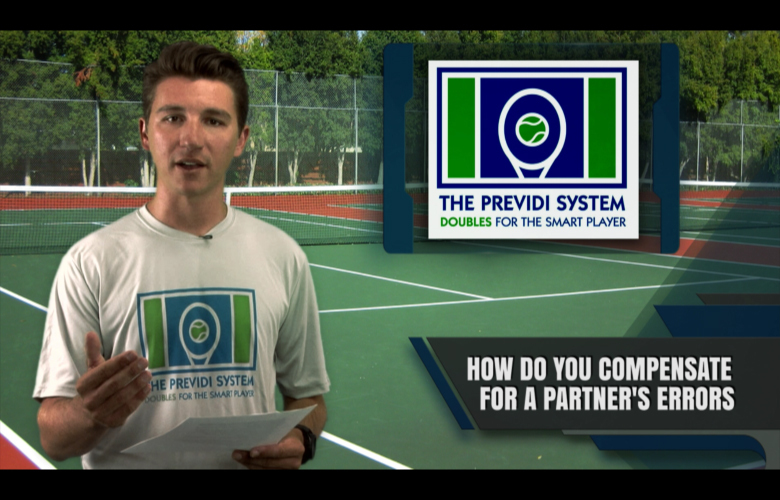 A player who returns well on critical points is a partner everyone wants to play with. Once you perfect your returns and develop the proper mindset, you will be able to help your team and get rid of nerves or anxiety you might have in these situations. 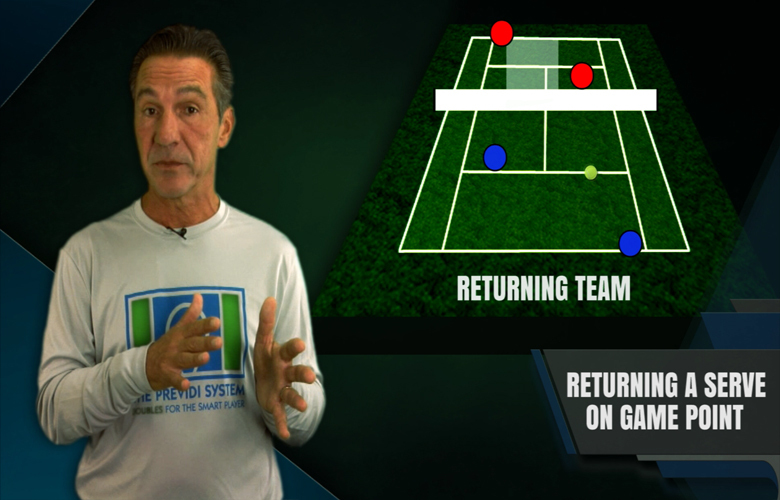 EFFECT ON GAME: The Offensive Lob Return can be used in several ways. It can make the server scramble back and hit a defensive shot. It can complement the SAL return. 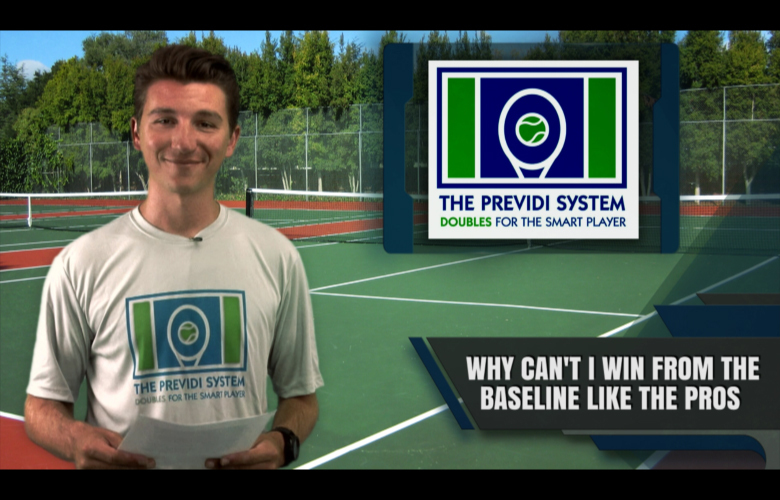 It can be especially effective against an aggressive net player. 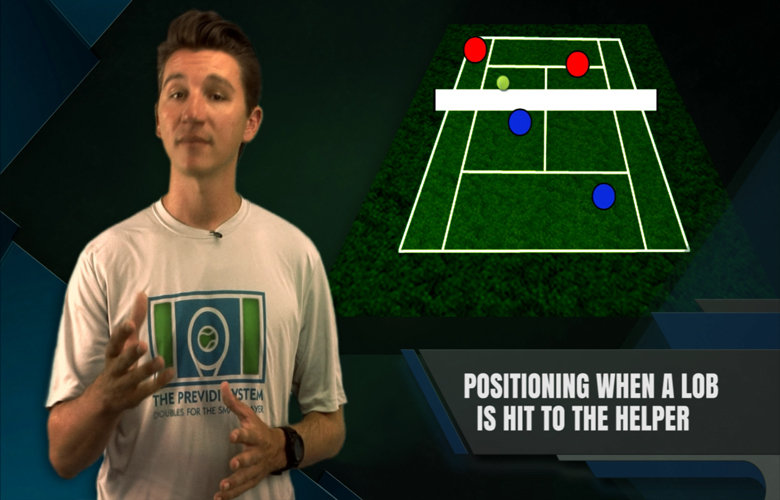 Once you master this shot you will find yourself using it often and your opponents will be frustrated by it. There is no good response to a well executed offensive lob return. 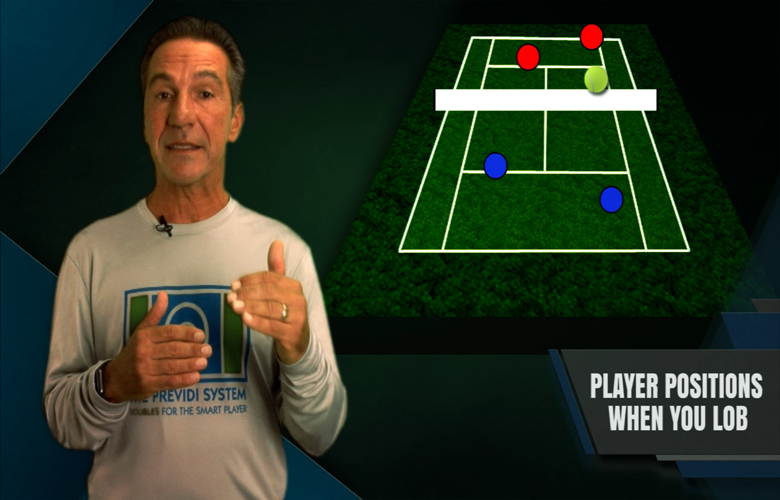 EFFECT ON GAME: Having an aggressive alternative on return of serve will help to keep the net player from being a factor by attacking their position and will open things up for your other returns. 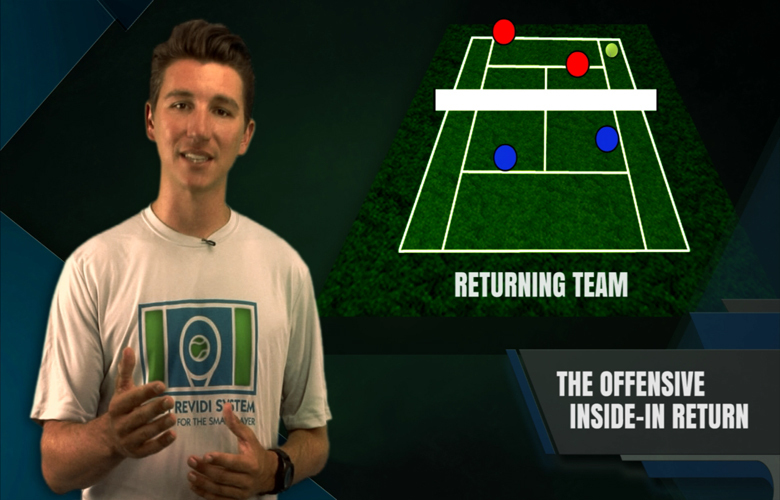 EFFECT ON GAME: Once you've mastered the midcourt game against an attacking receiver you will not feel intimidated to serve and volley in this situation. You will also be much more effective against these type of receivers. 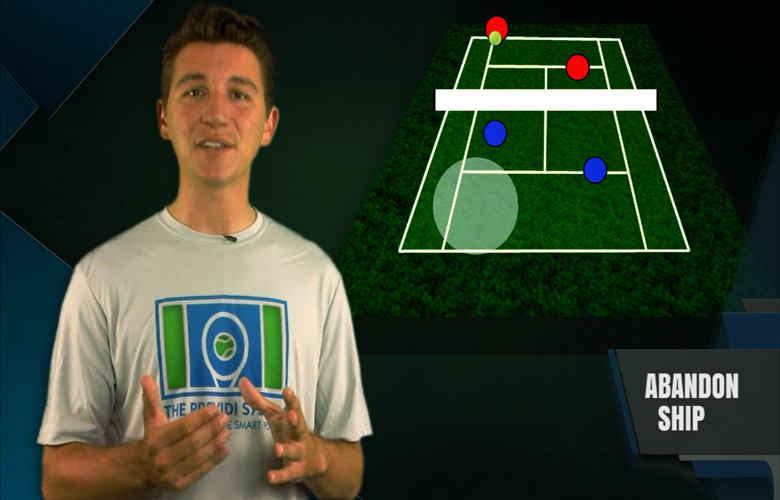 EFFECT ON GAME: If you and your partner make the necessary adjustments when your opponents change tactics and position,you will be able to play effectively and avoid confusion against all teams.